We all want to believe that cancer will be cured in our lifetime, and a Harvard University chemical biologist, Matthew Shair, is leading the charge. Merck is paying $20 million to Harvard to license a group of small molecule drug compounds created in Shair’s labs. This “tech transfer” (when a life science project moves out of the academic lab into a company’s care) is an unusually large amount for a licensing deal with a university. Issac Kohlberg, a Harvard senior associate provost, says the university has done “nothing close to this” with other licensing deals. These drug compounds target enzymes that regulate transcription specifically for leukemia and other cancers. The details can be found in a paper by Shair and colleagues, published by Nature last September. 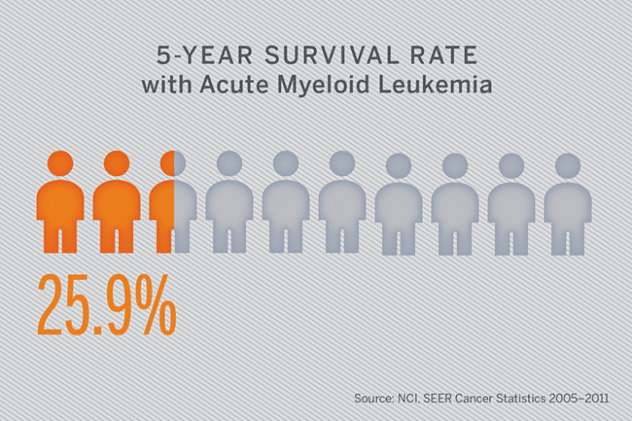 The most common acute leukemia is Acute myeloid leukemia (AML) with an estimated 20,800 new cases in the United States in 2015. Moreover, AML accounts for the largest number of leukemia-related deaths, with a five-year overall survival rate of only approximately 26 percent. It is reported that the reason Merck paid so much for the compounds was because they were developed far beyond the norm before a deal was made, due in part to the support from the Blavatnik Biomedical Accelerator (BBA). The Blavatnik accelerator’s chief scientific officer Curtis Keith says his team has been working with Shair’s lab for almost four years, and has put “significantly more” money into this project than is typical. He wouldn’t specify how much, but normally the BBA will make small grants in the $100,000 range to conduct some basic experiments, or $300,000 or more “development” grants for “multi-year” projects, Keith says.